Reach for your style dreams whenever you show up in this glam dress. 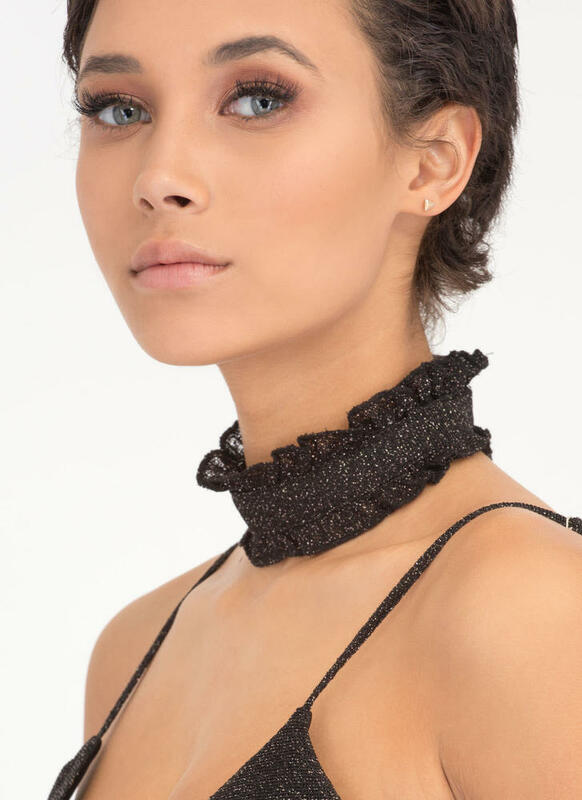 Stretchy slip dress features a sparkly, metallic-threaded surface; a scoop neck; adjustable shoulder straps; and a triangular cut-out slit on the hem. Lined dress is finished with a hidden rear zip closure. 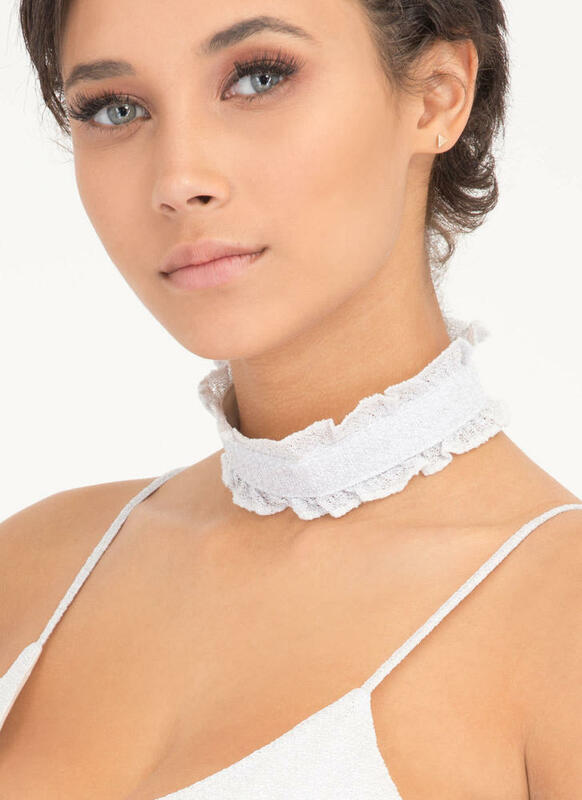 A wide, matching ruffled choker is included.